Prezentare The Barony of Gilead has fallen to the forces of the evil John Farson, as the Gunslingers are massacred at the Battle of Jericho Hill. But one Gunslinger rises from the ashes: Roland Deschain. As Deschain's limp body is tossed onto a funeral pyre ... he's not dead yet. 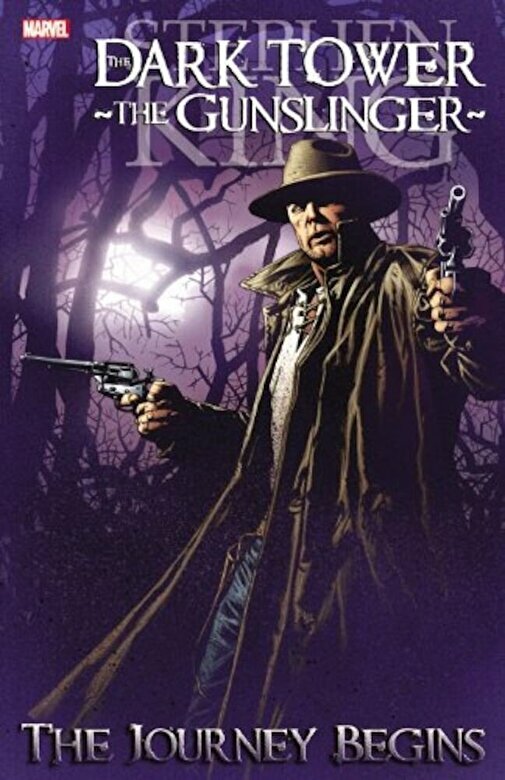 Roland escapes; as the last of the Gunslingers, he sets out in search of the mysterious Dark Tower - the one place where he can set the events of his out-of-synch world right. Along the way, Roland will battle the Not-Men, the Slow Mutants and more as he trails the Man in Black, the sorcerer who holds the key to Roland's finding the Dark Tower.